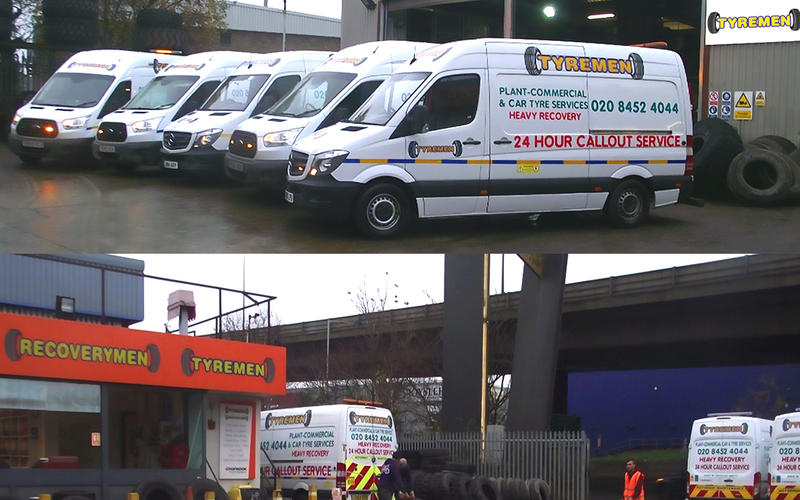 The Tyremen Group consists of Tyremen Tyre Specialists & Recoverymen who specialise in vehicle and heavy vehicle breakdowns, liftiing and emergencies. 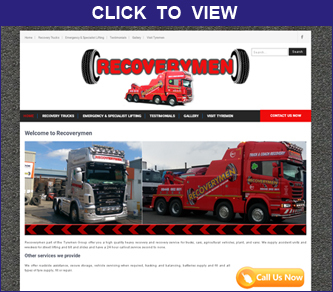 Recoverymen part of the Tyremen Group offer you a high quality heavy recovery and recovery service for trucks, cars, agricultural vehicles, plant, and vans. Driving by this place the last 2 years thought it was trucks only, went into the office and staff were very friendly and pleasant, got 2 new car tyres fair price definitely use again. Used this place first time Monday, very fast very efficient , very friendly, fair price would recommend. Looks more trade than for the public from the outside, but I went in with a puncture on my spare. I dread these things especially as a woman who knows nothing about cars with a baby in tow. But got seen straight away, no grief, quick, simple, friendly and £18. Would recommend. Why Choose The Tyremen Group? We are fully committed to supplying our customers with the best quality service and product everytime, with no exceptions. 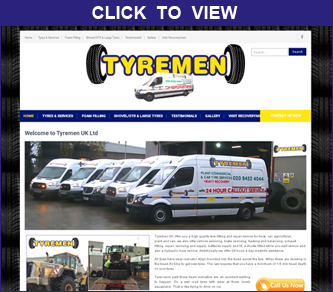 Tyremen UK offer you a high quality tyre fitting and repair service for truck, car, agricultural, plant and vans. Additionally we offer 24 hours a day roadside assistance. Tyremen stock all major brands and if we don’t have it we’ll get it. We always like to match tyres. This may not be possible with some used imports, but we can advise on the best replacement tyres for your vehicle and order them in and fit them..